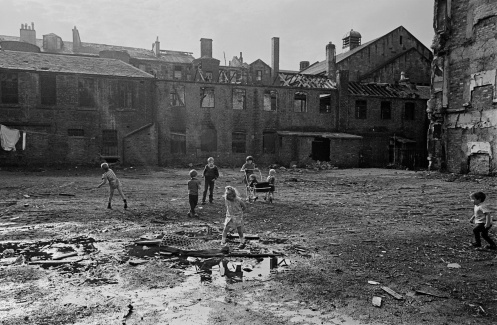 Housing, everyday life and wellbeing over the long term in Glasgow c.1950–1975 is a Leverhulme funded project which employs a historical approach to explore the long-term impact of re-development and forced relocation in post-war Glasgow. After the Second World War, Glasgow was notorious as the most ‘slum-ridden’ city of Britain. To tackle its urban squalor, massive schemes of slum clearance, public housing, and urban redesign were undertaken on an unparalleled scale. Modern homes in high rises and new towns were identified as the solution, an approach championed on behalf of the working classes by architects, planners, and local officials. Glasgow was nationally influential in its approach, which channelled this modernist impulse into homes, designed and built with a modern aesthetic and with the use of new building materials and techniques. 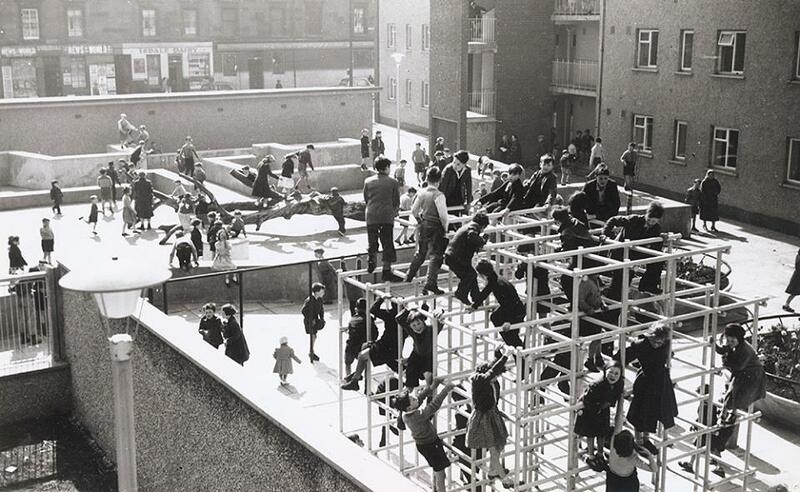 More than fifty years on from the inception of Glasgow’s housing revolution there are lessons to be learned from this massive public housing experiment. Research on the success or failure of social housing and relocation has generally tended to focus on short-term impacts. Very soon after the slum clearance and rebuilding programmes of the 1950s and 1960s, the criticism was made, and has stuck thereafter, that the main impact of such developments was to cause the ‘destruction of communities’ and ‘social displacement’. Despite a lack of research on the ongoing effects since, this has proved a very influential narrative, so much so that present-day urban restructuring has been said to have parallels with the earlier epoch, with policy-makers and planners having failed to learn the lessons from the past. This project employs a historical approach in revisiting this period of post-war redevelopment and will ask to what degree it succeeded or failed, for whom, and in what context, over the longer term. Ultimately, understanding what has happened to people in social housing across the lifecycle, and over several decades, can provide important lessons for the conduct and prospective impacts of restructuring programmes today.